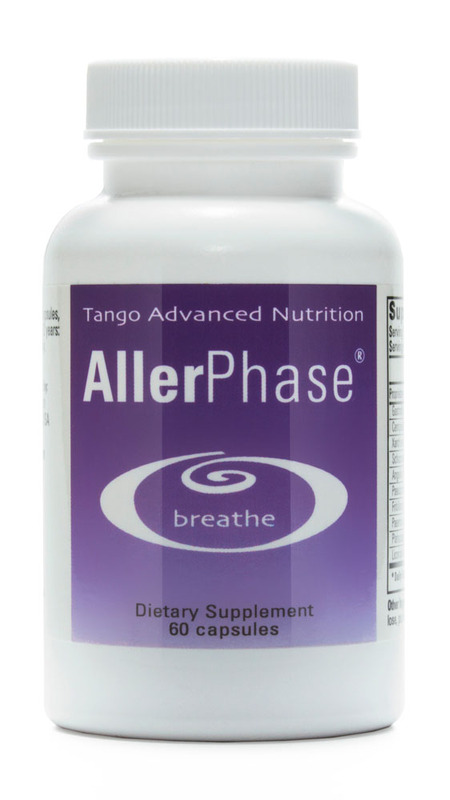 "AllerPhase® is a unique herbal formula designed for individuals sensitive to seasonal and perennial pollens, house dust, molds, pet dander, foods and chemical pollutants. 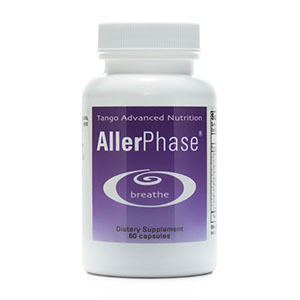 AllerPhase contains a proprietary blend of herbal extracts. Many of the individual ingredients have been studied for their role in supporting the health of the nose, sinuses and lungs. As a nutritional supplement all-natural AllerPhase promotes and supports healthy respiratory function while supporting the immune system to resolve seasonal imbalances and reduce the potential for allergic reactions." Adults: Take one or two capsules, twice daily. Children ages 6 to 12 years: one capsule, one to two times daily. For optimal blood sugar support.